It has been a little over one month after Cyclone Idai made landfall through Mozambique and its neighboring countries. 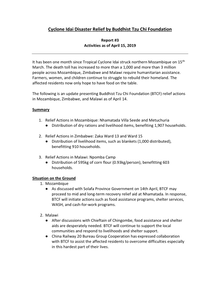 The following is an update presenting Buddhist Tzu Chi Foundation (BTCF) relief actions in Mozambique as of April 20. 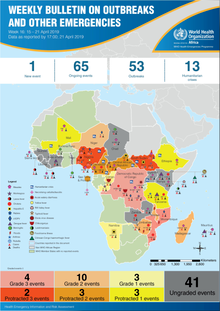 Chikungunya in the Republic of Congo. 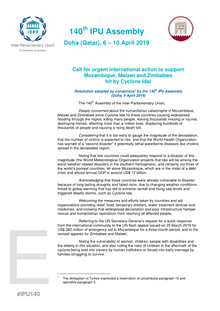 This Emergency Appeal seeks a total of some 3.3 million Swiss francs to enable the International Federation of Red Cross and Red Crescent Societies (IFRC) to support the Malawi Red Cross Society (MRCS) to deliver assistance to 69,713 people (13,943 HH) for 18 month with a focus on following areas: Shelter, Livelihoods and Basic Needs, Health, Water, Sanitation and Hygiene (WASH), Protection, Gender and Inclusion (PGI) and National Society Capacity Strengthening. 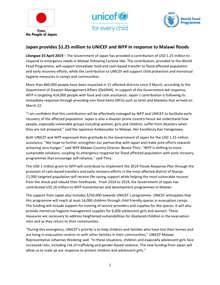 Lilongwe 23 April 2019 – The Government of Japan has provided a contribution of USD 1.25 million to respond to emergency needs in Malawi following Cyclone Idai. The contribution, provided to the World Food Programme, will support immediate food and cash-based transfer to flood-affected population and early recovery efforts, while the contribution to UNICEF will support child protection and menstrual hygiene measures in camps and communities. 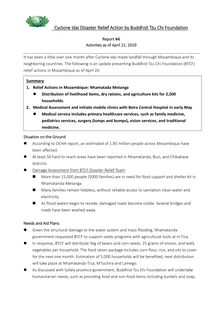 Rainstorms and landslides occurred in Rumphi District in northern Malawi on 20 April. According to media, a landslide devastated an entire village between the Mphompha hills and Lake Malawi in the early hours of Saturday, 20 April, killing at least three people. Another nine people are reported injured and five missing. The disaster, which has affected a total of 20 households (about 100 people), has damaged personal and public infrastructure such as houses and schools. A search and rescue team has been deployed to the affected areas to search for the missing people. The Malawi Gaming and Lotteries Authority on Thursday (18th April, 2019) donated shelter construction materials worth K20 million to people affected by floods to assist them in reconstruction following devastating floods that left over 89,000 people displaced. Speaking in Blantyre during a symbolic presentation of the donated items, the Gaming Authority’s Board Chair Billy Banda said as an institution, they were equally affected by the March 2019 floods. 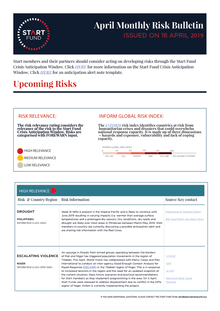 Over 11,000 people displaced by Cyclone Idai in southern Malawi will receive food from Canadian Foodgrains Bank through an emergency response of Foodgrains Bank member World Renew. Heavy rains swept through the country in early March, causing widespread flooding. Several days later, a cyclone with winds over 280 kilometres an hour touched down in the country, destroying homes, roads, infrastructure and crops. Bangula settlement in Nsanje District, in the south of Malawi, is an arduous five kilometre walk from the border with Mozambique. It is a walk that approximately 2 000 Mozambicans have made since they were displaced a month ago by the floods caused by Cyclone Idai. The settlement is also a temporary home to approximately 3 500 Malawians from surrounding villages who were also displaced. 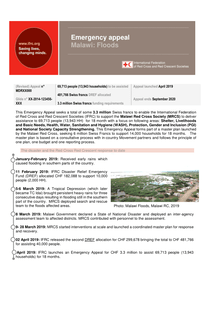 It has been one month since Tropical Cyclone Idai struck northern Mozambique on 15th March. 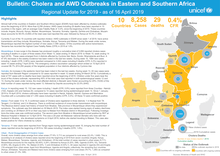 The death toll has increased to more than a 1,000 and more than 3 million people across Mozambique, Zimbabwe and Malawi require humanitarian assistance. Farmers, women, and children continue to struggle to rebuild their homeland. The affected residents now only hope to have food on the table. 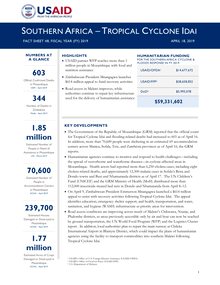 The following is an update presenting Buddhist Tzu Chi Foundation (BTCF) relief actions in Mozambique, Zimbabwe, and Malawi as of April 14. 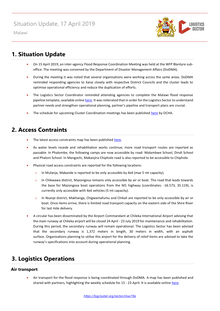 • On 15 April 2019, an inter-agency Flood Response Coordination Meeting was held at the WFP Blantyre suboffice. The meeting was convened by the Department of Disaster Management Affairs (DoDMA). • During the meeting it was noted that several organisations were working across the same areas. DoDMA reminded responding agencies to liaise closely with respective District Councils and the cluster leads to optimise operational efficiency and reduce the duplication of efforts. An in-depth look at how the deadly storm and flooding have disrupted the schooling of half a million children in southeast Africa - and the efforts to rebuild. First comes the shock and the terror. Then the fight for survival - to find food, water and shelter, and to avoid diseases. But in the wake of a natural disaster, children very quickly need protection and education. Being in a safe learning environment with other youngsters is crucial if they are to begin to recover from the trauma. The water is receding in Beira – Mozambique’s fourth largest city – weeks after the deadly cyclone hit in March 2019, leaving behind scenes of desolation and grief-stricken survivors. 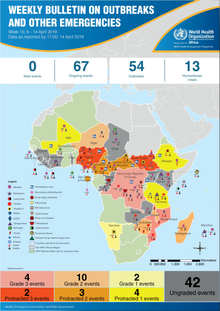 Floods that came about as a result of heavy rains that fell from 10th April to the wee hours of Saturday (13th April 2019) have affected over 878 people.